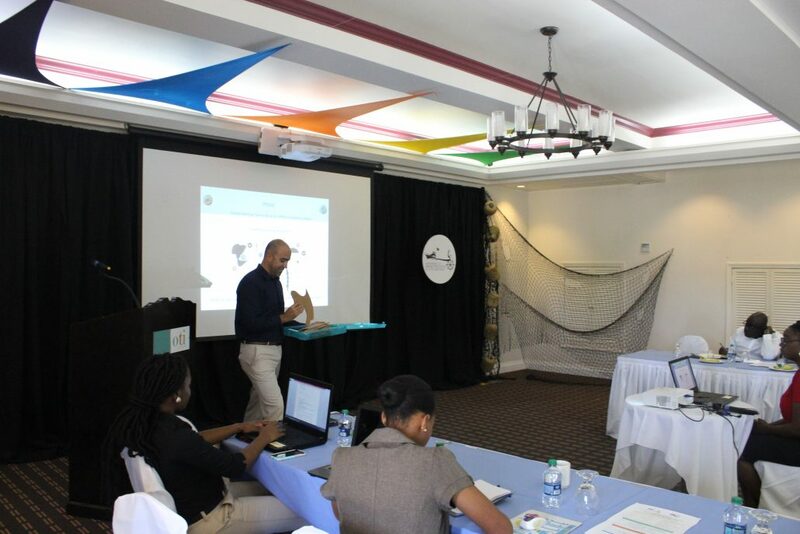 The inception workshop for the St. Kitts and Nevis Marine Management Area Management Plan will take place on Monday 11th February 2019 from 9:15 am – 3:00 pm at the Ocean Terrace Inn Conference Room. 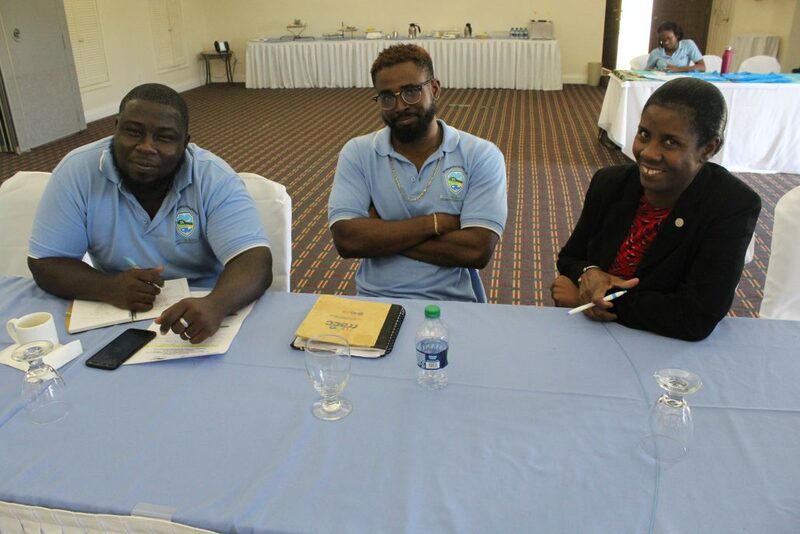 In efforts to increase stakeholder participation, two week consultations will take place within the following traditional fishing communities: Dieppe Bay 12th, Sandy Point 13th, Old Road 14th , Basseterre 18th, Charlestown 19th, New Castle 20th and Indian Castle 21st from 5:00pm to 7:00pm. 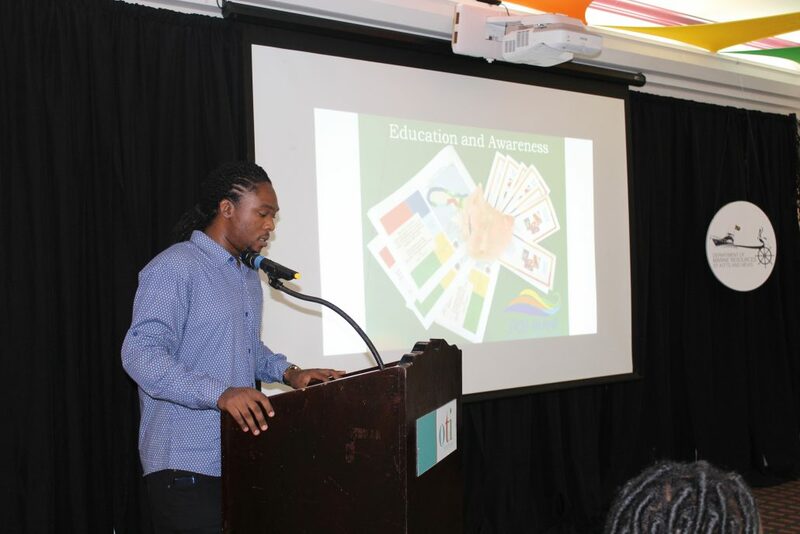 The consultant that was contracted to carrying out this management plan is the Caribbean Environment Education Trust with Daven Joseph as lead consultant. 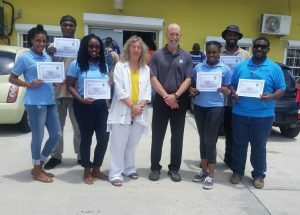 2019 registered fishing boat owners in St Kitts and Nevis will receive vessel monitoring systems and their fishing vessel registration certificates at ceremonies to be held in St. Kitts at the Police Training Complex on February 5, 2019 at 5 PM and in Nevis at the Nevis Disaster Management Department on February 7, 2019 at 9 AM. 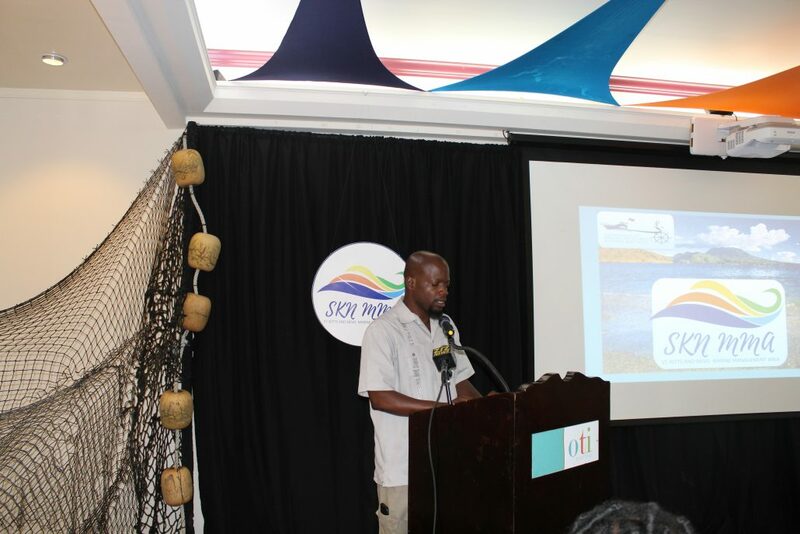 This initiative is a joint effort between the Federal Government of St. Kitts and Nevis and the Nevis Island Administration to improve the safety and security of fisher at sea. 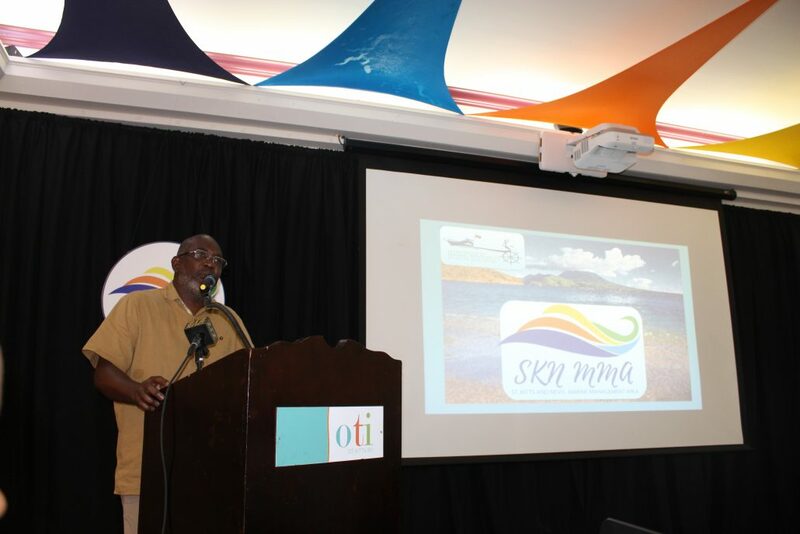 The featured address in St. Kitts will be delivered by the Honourable Eugene Hamilton, Minister with responsibility for marine resources within the Federal Government of St. Kitts and Nevis. 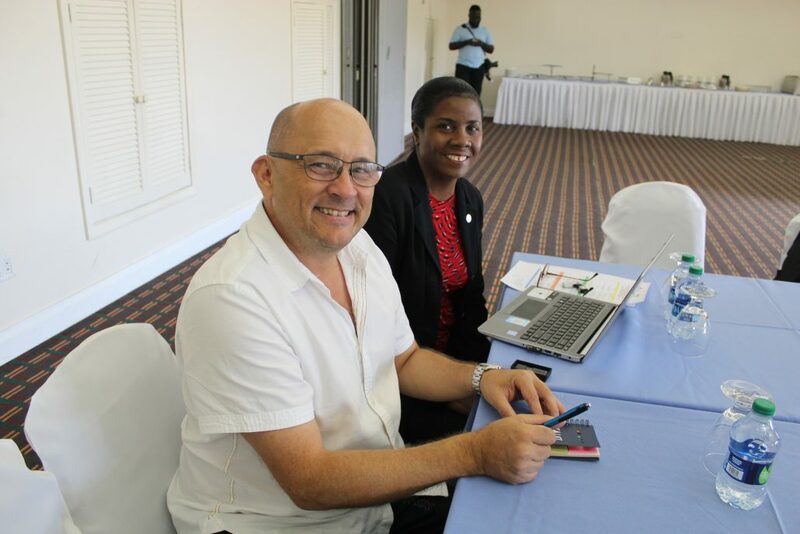 While the featured address in Nevis will be delivered by the Honourable Alexis Jeffers, Minister with responsibility for marine resources in Nevis Island Administration. Both administrations are concerned about fishers losing their lives at sea. 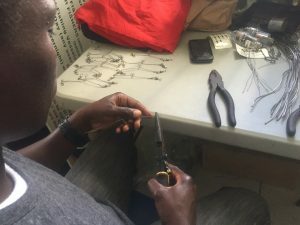 As a result, a basic fisher training course began in 2017 for fishers in the Federation aim at improving their survival and navigational skills. This year, steps were further taken by introducing vessel monitoring systems to track fishing vessels when fishers are experiencing distress while at sea. There is an emergency button on the vessel monitoring system that can alert rescue authorities in efforts to locate fishing vessels. 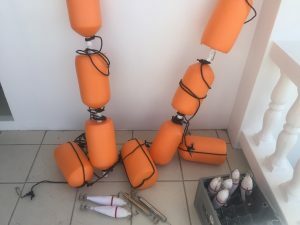 Fishing vessel owners do not have to pay for these vessel monitoring systems as the Government has absorbed an estimated $156,520 USD for these systems. 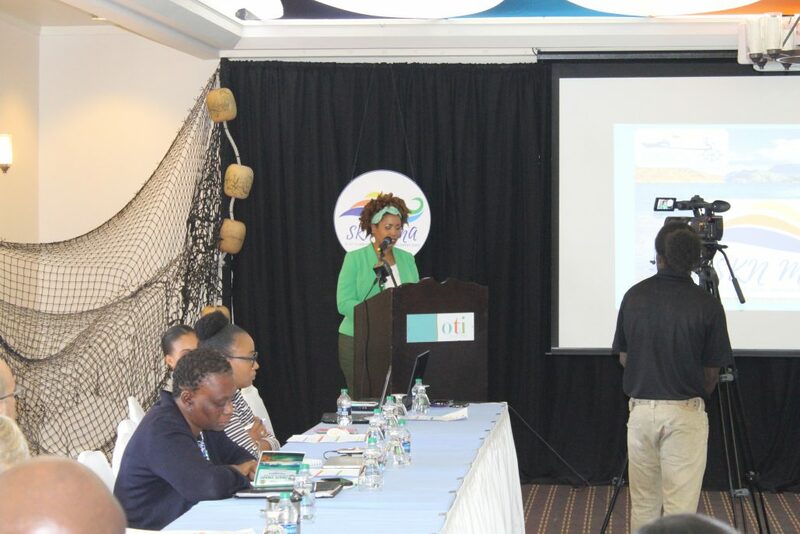 Fishers are encouraged to continue practicing their profession while doing so in a responsible manner so that the nation and their families can enjoy the nutritional value and benefits that fish and fisheries products provide. 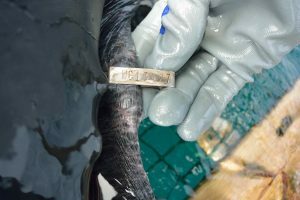 A female leatherback sea turtle bearing tag WC 13427 on its left rear flipper was captured 24 July 2018 off Nova Scotia, Canada by a sea turtle research team led by Dr. Mike James of the Canadian Department of Fisheries and Oceans (www.dfo-mpo.gc.ca/science/publications/article/2016/01-29-16-eng.html). Following capture, the turtle was examined, measured, and equipped with a satellite-linked transmitter, which will provide valuable data on her movements and habitat use for several months. 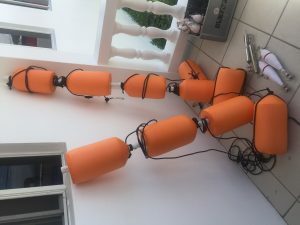 The St. Kitts Sea Turtle Monitoring Network (SKSTMN) received the exciting news of the capture and satellite tagging of WC 13427 in Canada via Professor Julia Horrocks, Coordinator of the Wider Caribbean Sea Turtle Conservation Network’s (WIDECAST) Marine Turtle Tagging Centre at the University of West Indies in Barbados. Originally tagged by members of the SKSTMN and the Georgia Sea Turtle Center/Jekyll Island Authority on 16 April 2015 while nesting on Keys Beach, the turtle returned to nest there two more times in May 2015, but has not been observed nesting since. As leatherbacks generally nest every two to three years, we hope to see her back in St. Kitts in the future. It is not unusual for female leatherback turtles in the Atlantic to migrate 2,000 miles or more between their nesting and foraging grounds. The species’ highly migratory nature makes it a shared resource both regionally and internationally and highlights the importance of sharing critical biological information gathered on both the nesting beaches and foraging grounds. Canadian waters support one of the largest seasonal foraging populations of leatherbacks in the North Atlantic. Beginning in 1999, Dr. James initiated annual vessel-based leatherback monitoring and tagging activities off Nova Scotia. 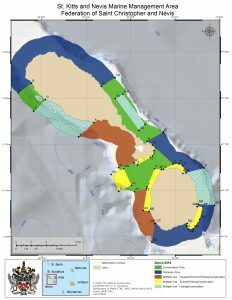 This research is conducted in collaboration with local fishermen and the Canadian Sea Turtle Network (www.seaturtle.ca). Less than 1 in 1,000 leatherback sea turtle hatchlings will survive to adulthood, and the females that survive will not return to nest on our shores until they are around 25 years of age. Disturbing one of these ancient creatures during nesting carries a fine of EC$5,000. 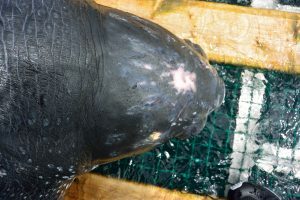 Since the SKSTMN initiated their leatherback tagging efforts in 2005, 259 individual female leatherbacks have been tagged. 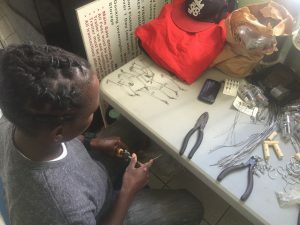 Over the course of the monitoring program a significant decline in leatherback activity in St. Kitts has been observed. For example in 2003 over 350 nests were documented in St. Kitts but in 2018 that number was down to 11. 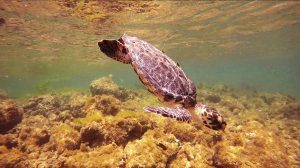 We urge all citizens to assist in efforts to conserve and protect sea turtles and their habitat. It is critical that the animals we do have in our nesting population survive and continue to produce offspring for our future generations to be able observe. Please report any sea turtle sightings, nesting events, etc. 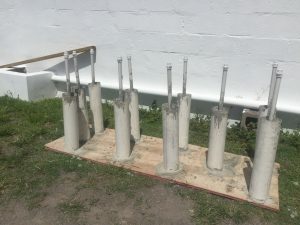 in St. Kitts to the Sea Turtle Hotline at (869) 764-6664 and/or the St. Kitts Department of Marine Resources at (869) 465-8045 or dmrskn@gmail.com. 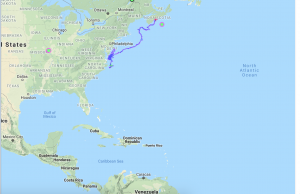 If you are interested in following the movements of this leatherback female please email your request to skturtles@gmail.com. 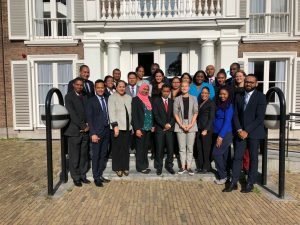 September 5- 18, 2018, the Blue Diplomacy: Enhancing sustainable economic development of the oceans Diplomatic Training Programme for Small Island Developing States was conducted at the Clingendael Netherlands Institute of International Relations , The Hague, Netherlands. 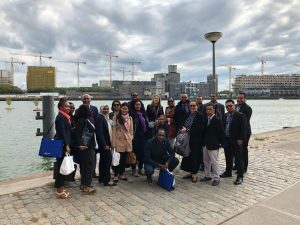 Mr Ron Ton, Director Clingendael Academy welcomed the participants from about 20 Small Island Developing States including Pacific, African and Caribbean regions. 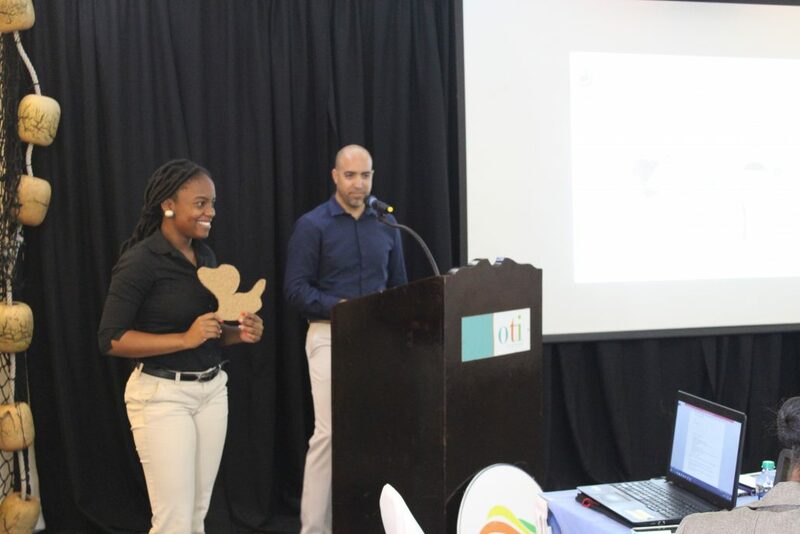 Tricia Greaux and Kemoy Liburd-Chow represented the Federation of St. Kitts and Nevis. 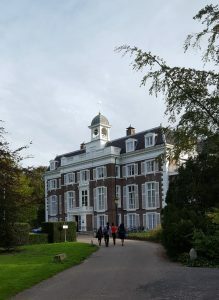 The first week of Clingendael based classroom presentations included Blue Economy: Different approaches and strategic thinking, Economic Diplomacy, Scenario Planning for the Future of the Oceans, Public Private Partnerships: The Dutch Diamond Approach, and Oceans in foreign policy. 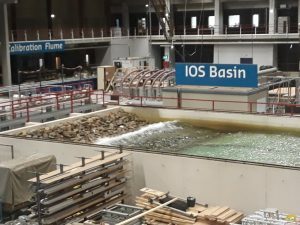 Working visits to the Permanent Court of Arbitration, Deltares – Dutch Ocean Protection and Disaster Risk Reduction and Resilience, Dutch Coastline Management and Rotterdam Port Authority. 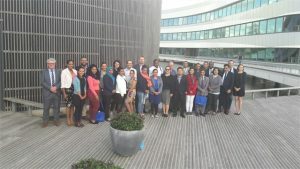 The second week of Clingendael based classroom presentations included Blue Economy and Tourism, Negotiation Skills Training, Ocean Governance in Times of Climate Change, International Trade over Oceans for Developing States, Managing Marine Pollution and opportunities of the Ocean in providing natural resources. 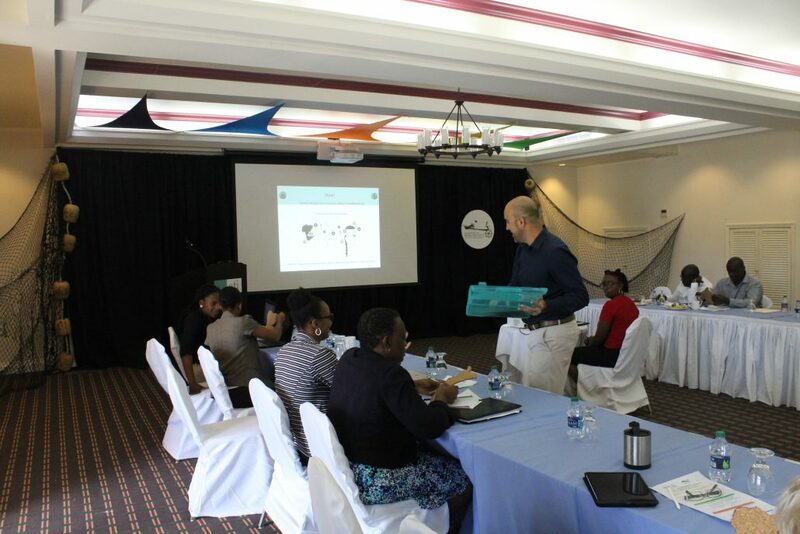 The scenario building sessions incorporated main lessons learnt from the course and discussions on best practice on best practices of represented SIDS and lesson learnt. 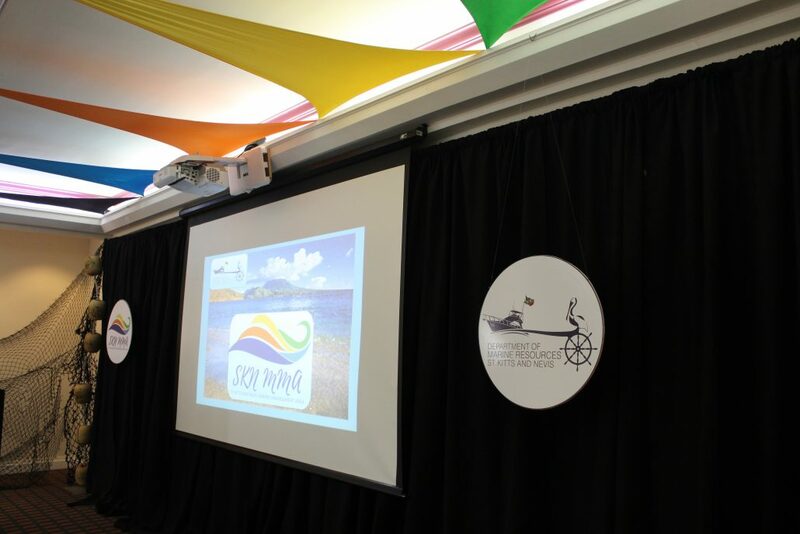 The Closing ceremony included speeches by dignitaries and the awarding of certificates to participants. 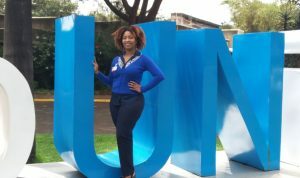 The first meeting of the Ad hoc Open-ended Expert Group on Marine Litter and Micro plastics established by the United Nations Environment Assembly of the United Nations Environment Programme (UNEP) in Nairobi, Kenya was conducted from Tuesday 29th – Thursday 31st May 2018. 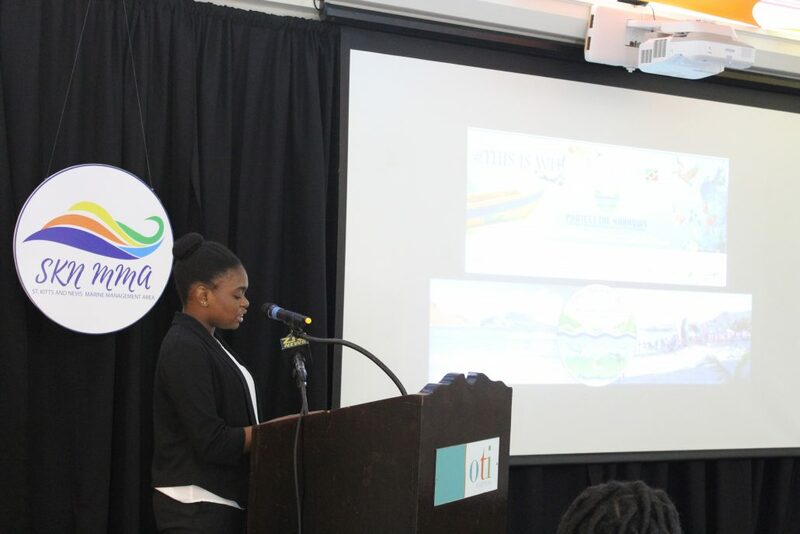 The representative from St. Kitts and Nevis was Tricia Greaux, MMA and Habitat Monitoring Officer -Department of Marine Resources. Tuesday 29 May, the Permanent Mission of Mexico to UNEP currently chairs the Group of Latin America and the Caribbean (GRULAC) also met to determine which country would serve as the representative of the GRULAC. 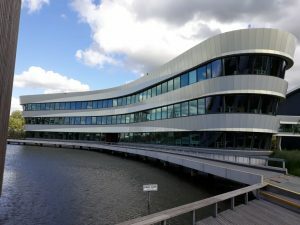 Columbia received an overwhelming vote to be selected as the Co-Chair of the Ad hoc Open-ended Expert Group on Marine Litter and Micro plastics. The #BeatPlasticPollution campaign that was also promoted during the conference. 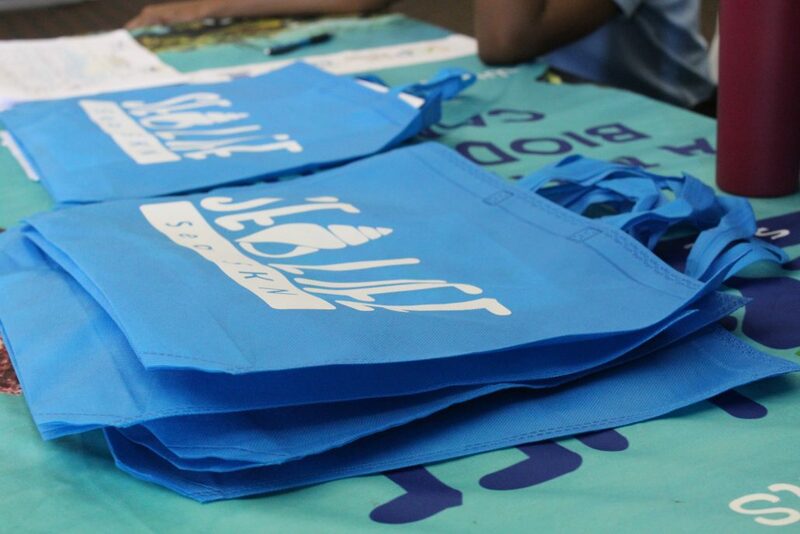 Delegates were encouraged to use their social media platforms, personal and professional, to promote the message of reducing single use plastic. 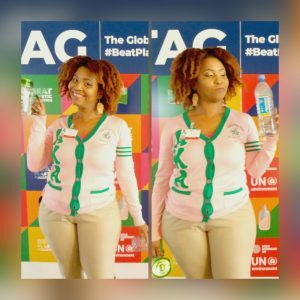 The delegate would lend her expertise to the organizing of the 2nd annual St. Kitts and Nevis Plastic Free July month of activities to further spread the message #BeatPlasticPollution on a national level. St. Kitts and Nevis should be described as a large oceanic state as its marine space exceeds the land mass by a significant acreage. 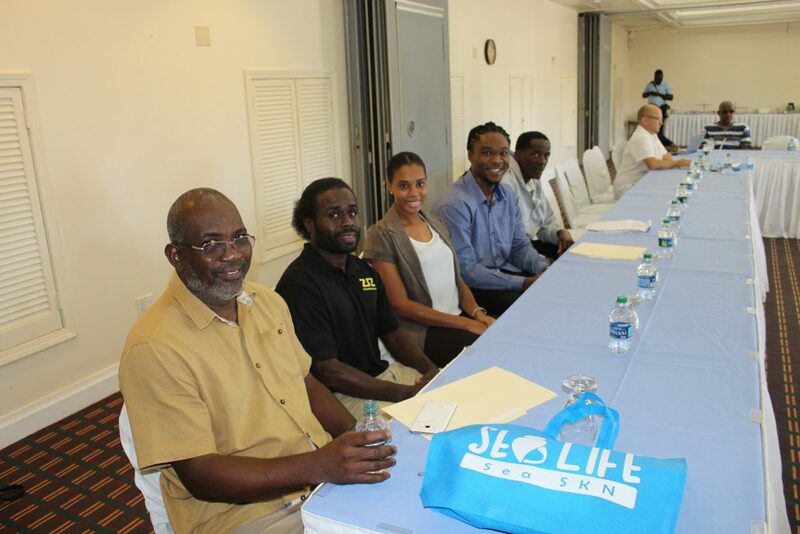 Therefore, pollutants within the marine environment are of dire concern to the Federation of St. Kitts and Nevis. 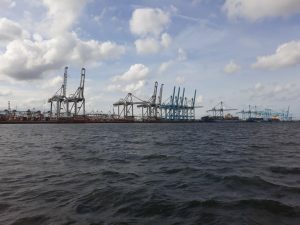 As the Officer responsible for Marine Management Area and Habitat Monitoring, I have observed a number of major barriers to combating marine litter and micro plastics include the lack of access to recycling plants on a national, regional or international level and the need for a national level ban on plastic with an effective transition and implementation process that will ensure nationwide buy in and compliance. 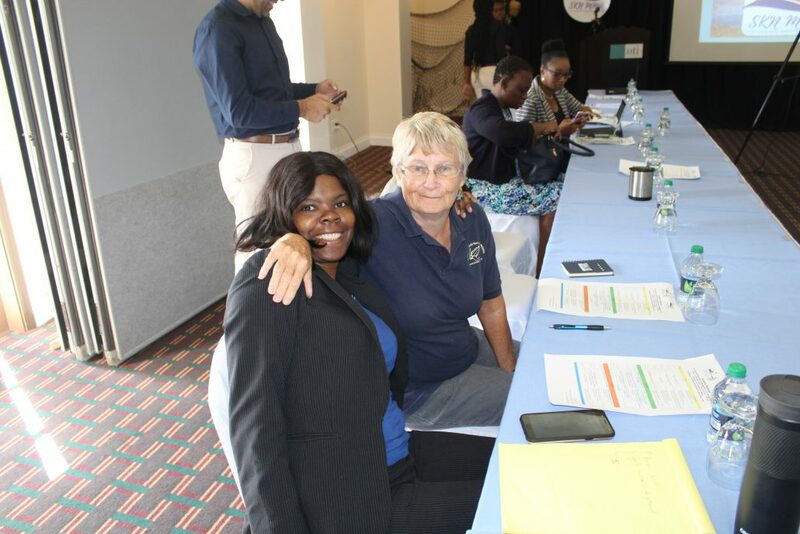 Also the lack of proper legislation, regulations, policies and enforcement of issues surrounding marine litter and micro plastics as well as high tariffs on imported sustainable alternatives to plastics. 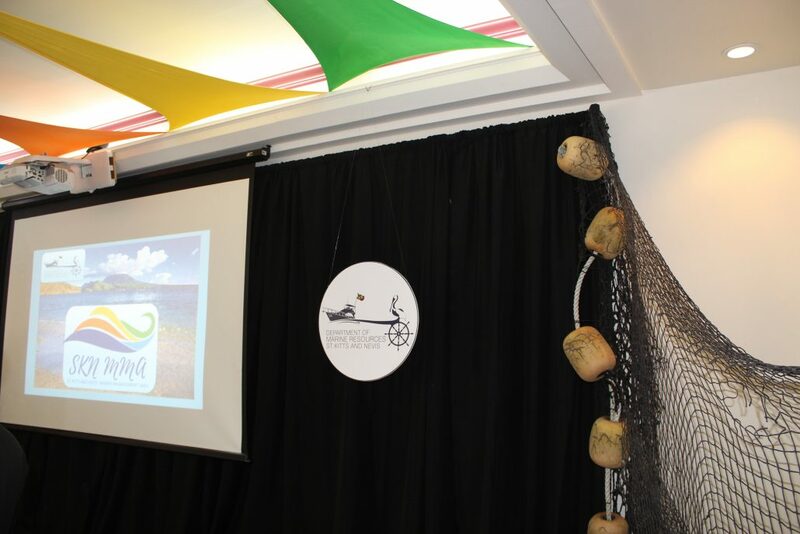 There is also a noted lack of awareness of what marine litter and micro plastics are and the effects of their presence within the seas and oceans. 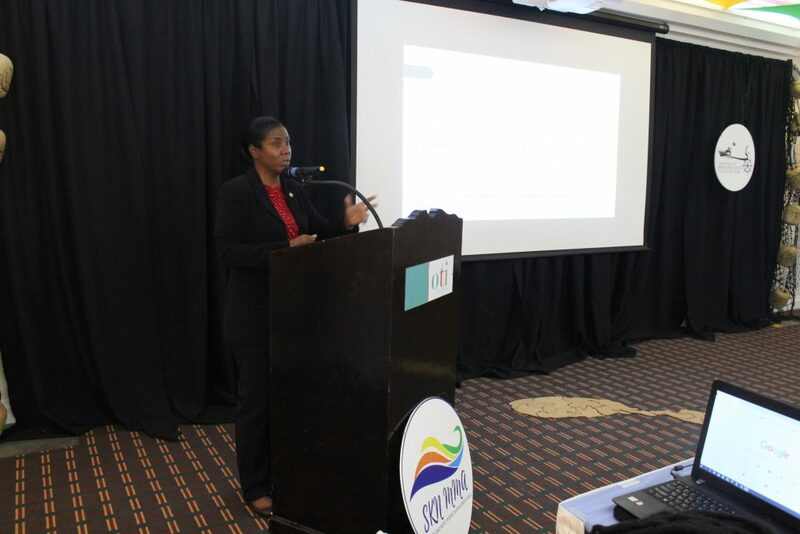 The Department of Environment (DoE) and the Department of Marine Resources (DMR) in collaboration with United Nations Development Programme (UNDP) Global Environment Facility (GEF) Conserving Biodiversity Project will be conducting a marine ecological assessment. 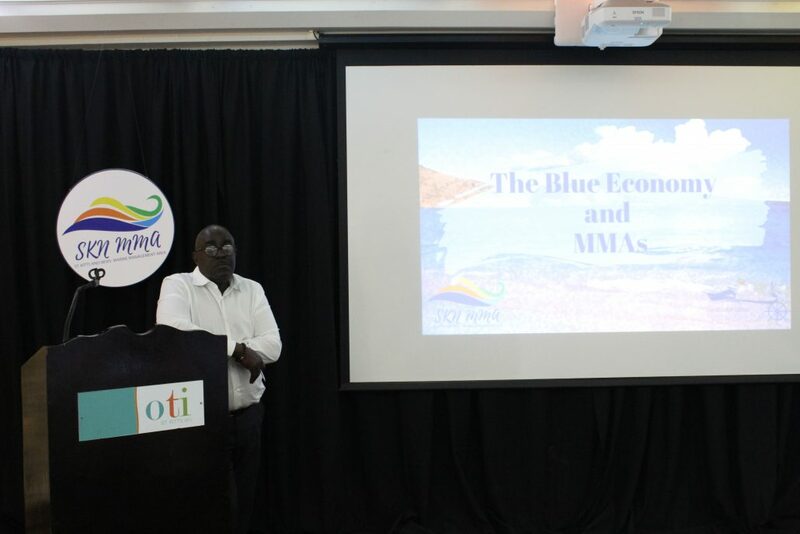 This will take place within the St. Kitts and Nevis Marine Management Area (SKN MMA) at the conservation zones in Keys, Sandy Point and the Narrows from 13th to 24th June and 1st to 18th August 2018. 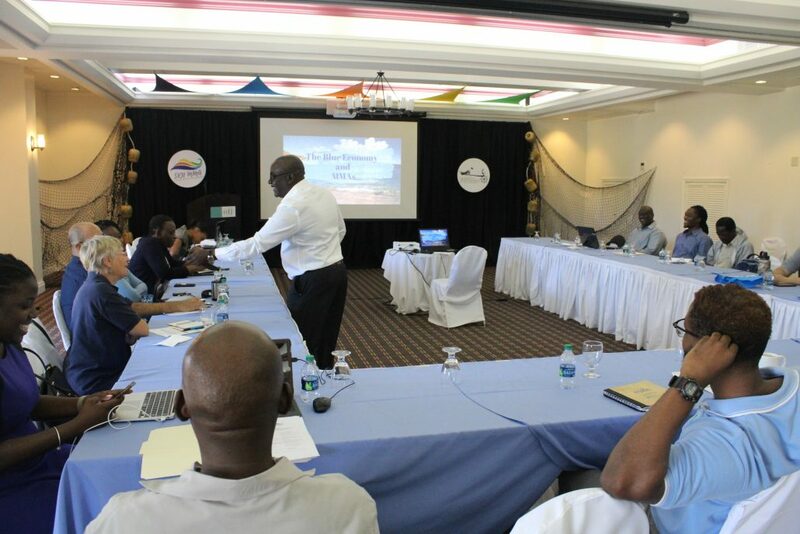 The overall task is to conduct a biodiversity and ecological assessment to expand on the existing baseline data that would be used to further support current and future coastal and marine resource management decision-making in and around St. Kitts and Nevis Marine Management Area (SKN MMA). 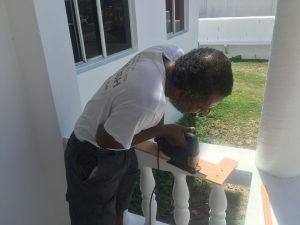 Knowledge sharing is key; therefore local expert knowledge will be integrated into this experience as Marine and Beach Conservation Officers (DMR), staff from St. Kitts Physical Planning and Department of Fisheries Nevis will be working along with the team of ecological inventory experts from ENVISION MAPPING. 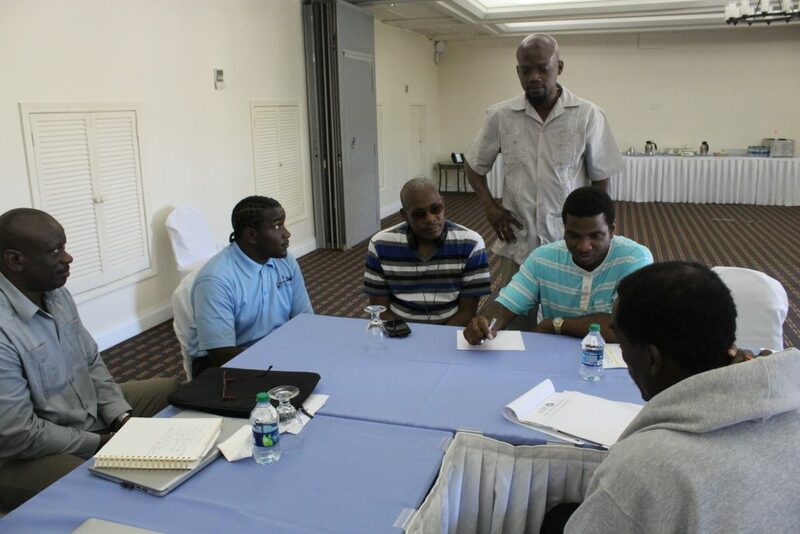 The data collected will aid greatly in strengthening the management of the SKN MMA. There are other positive spinoffs for example with increased awareness leading to behavioral change then locals can assist in reducing habitat destruction in areas of influence for the conservation zones. The DoE and DMR seeks the continued cooperation of persons living in these areas and the public in general. Remember when it involves #SKNMarineResources to #Use #Protect #Conserve to support #SKNbiodiversity! For more information kindly contact; Claudia Drew, Project Coordinator, Department of Environment, 869-466-8535 . 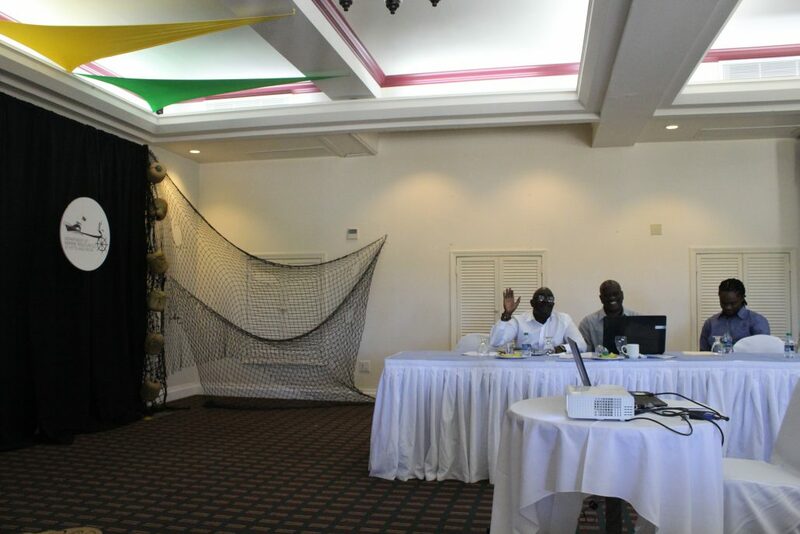 The St. Kitts and Nevis Department of Marine Resources (DMR) collaborated with fishers to examine the practicality of promoting the off-shore and pelagic fisheries in the Federation. 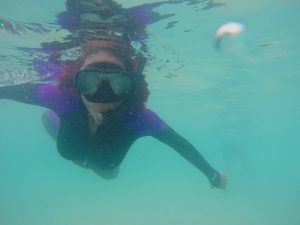 This involved preliminary work in 2017, harvesting Diamondback Squid. Following the successful capture of squid in 2017, the efforts have now shifted towards assessing the use of small open vessels for the harvesting of these resources, and other off-shore resources, to promote a reduction in fishing effort on the near-shore fisheries, while securing and enhancing fishers’ livelihoods. 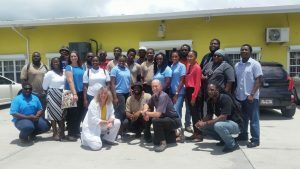 The Global Environment Facility (GEF) sponsored Conserving Biodiversity Project in St. Kitts and Nevis hosted in collaboration with the Department of Environment, St. Kitts the Protected Areas & Conservation Management Training from April 16-25, 2018. 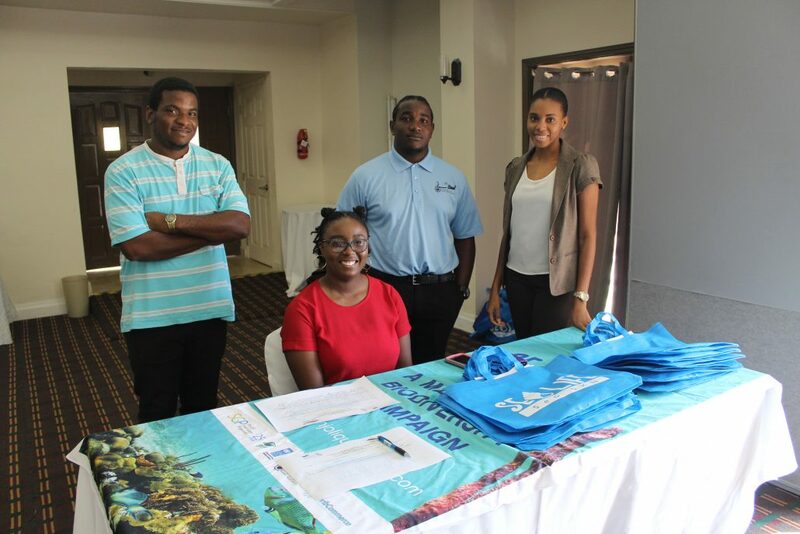 Marine Conservation Officers; Locksley Edwards, Ahisha Herbert and Ashadi Duncan, Beach Conservation Officers; Luciano Eddy and Sasha (Kodi) Edwards, and Boat Captain and Conservation Officer; Conse Skeete participated in this training. These individuals are stationed at the Department of Marine Resources (DMR). Facilitation of the training was done by Global Parks representatives; Kathy Chopik, Brion Fitzgerald and Doug Konkin. 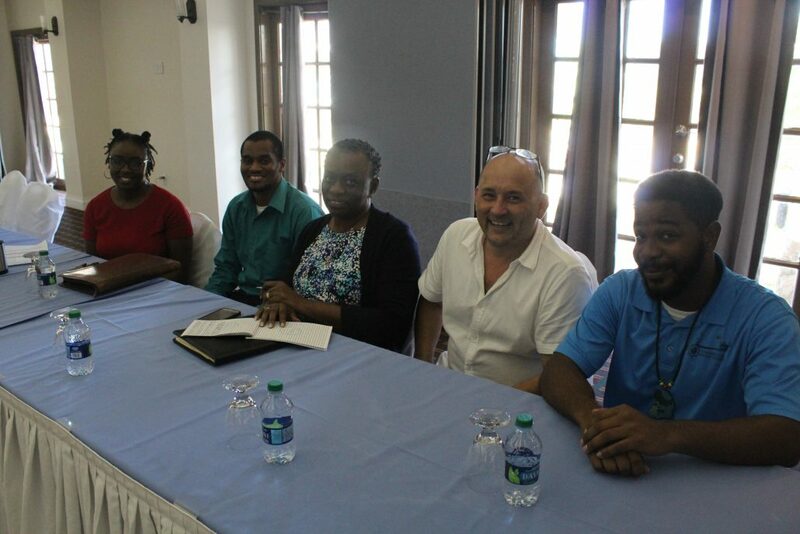 Local experts including; Thema Ward- Department of Physical Planning and Environment, Diannille Taylor-Williams- Ministry of Tourism and Dr. Kimberly Stewart- St. Kitts Sea Turtle Monitoring Network presented at this training. Create a capacity development plan for the overall effective management of the PA’s and conservation areas. 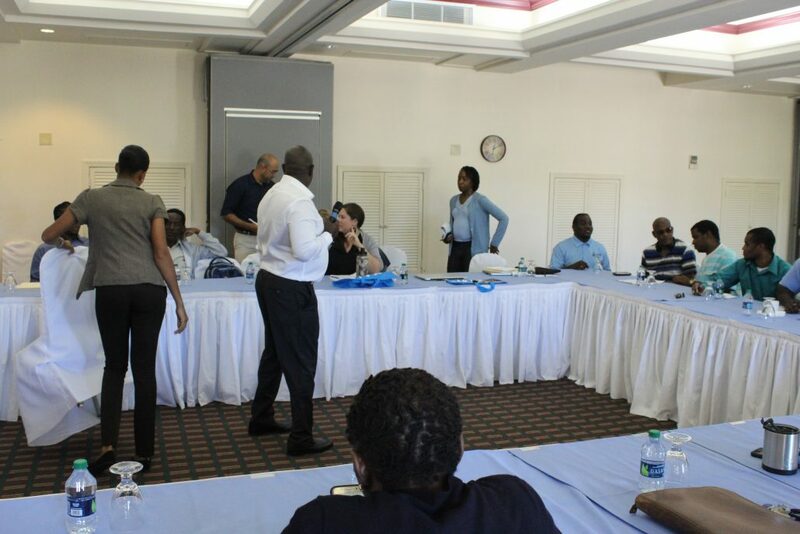 The training outcome was prioritization exercises of the training needs linking to the performance expectations in the job description and department mandates. 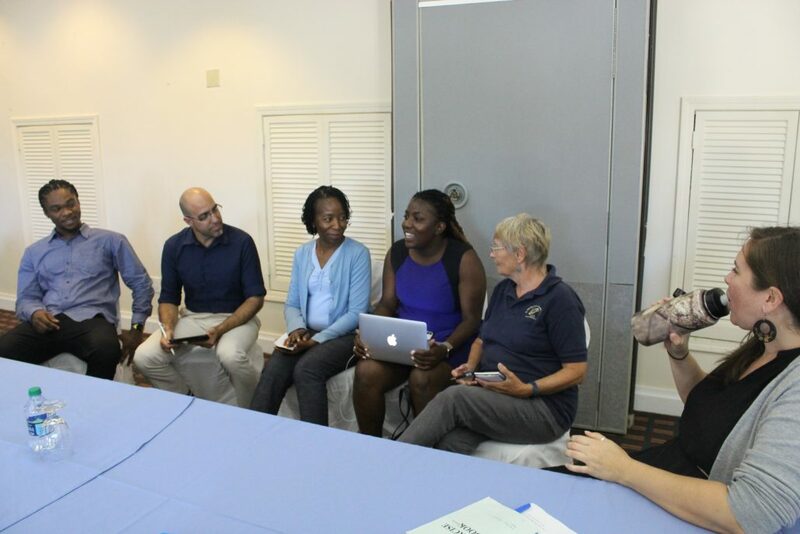 The 13th Training of Trainers on Marine Protected Area Management was held at The University of West Indies, Cave Hill, Barbados from the 16th – 26th April 2018 representing St. Kitts and Nevis was Ms. Tasia Jones, a Marine Conservation Officer at the Department of Marine Resources. 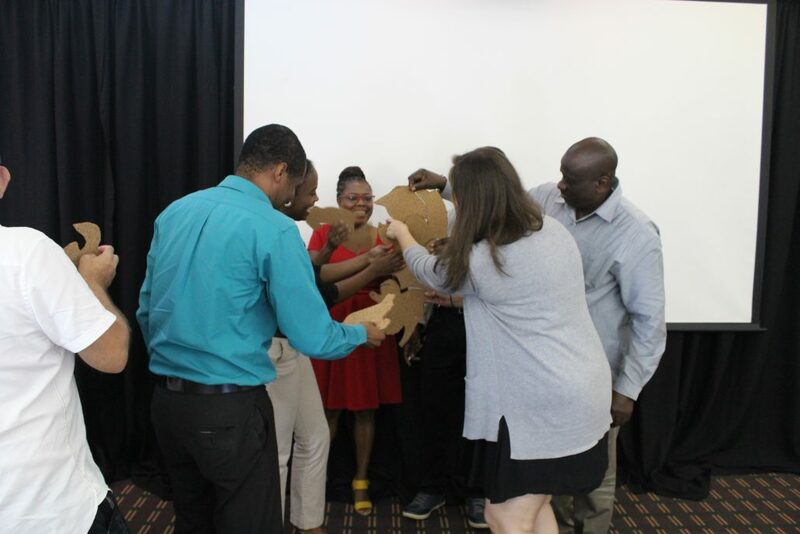 This training was organized by the Caribbean MPA Management Network and Forum (CaMPAM) with the Centre for Resource Management and Environmental Studies (CERMES) as the local organizing partner for this year’s course. 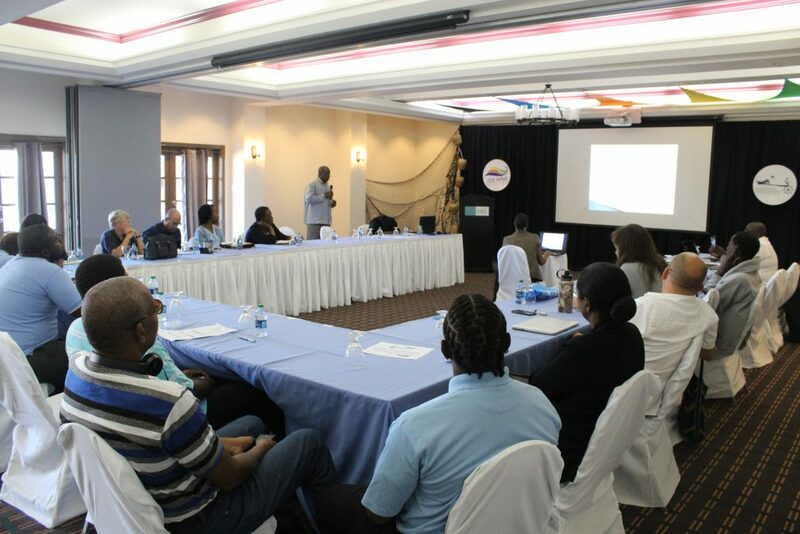 Sessions were held that explored the biophysical characteristics and interaction of the Caribbean coastal habitats evaluating their ecological services, and identifying local, regional and global threats to their resilience. Failing to understand the value of marine ecosystems can result in poor planning decision making. Therefore ecological and socio-economic research and monitoring and its application were discussed to improve marine area management. 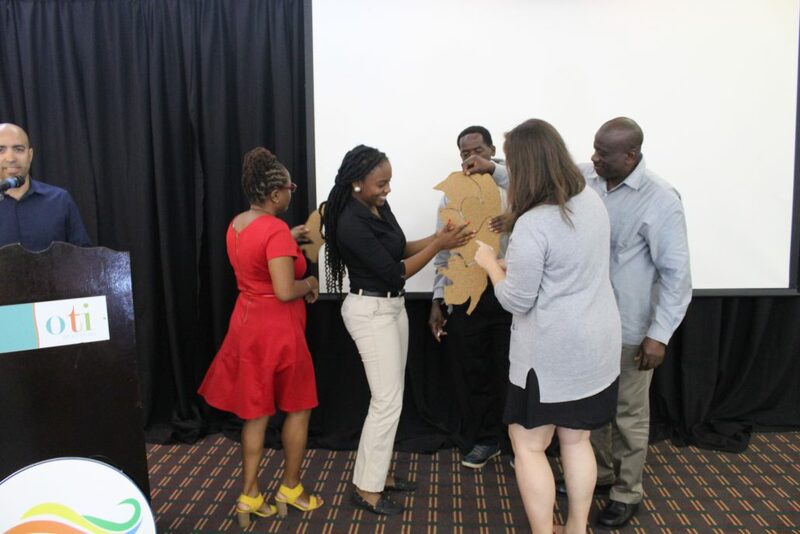 The need to integrate, analyze and spatially understand a variety of types of information relating to the environment and its uses has increased reliance of the use of Geographic Information Systems (GIS) through marine spatial planning and participatory GIS. Ecosystem Based Management recognizes the full array of interactions within an ecosystem, including humans, rather than considering single issues, species, or ecosystems services in isolation. 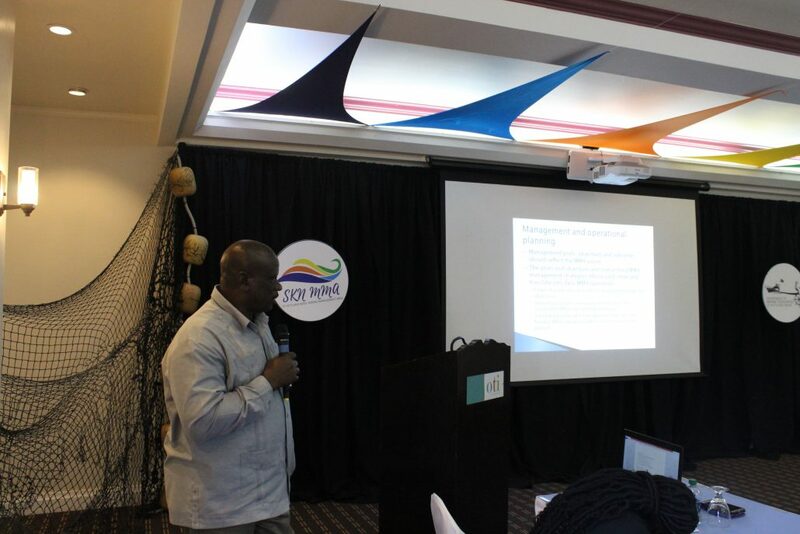 Stakeholder engagement in MPA governance at site and national system levels were considered. Stakeholders are people and groups whose interests, resources, power or authority result in them being likely to help, hinder, or be impacted by, an intervention or the lack of it. Co-management is a combination of negotiation and action taken by stakeholders with responsibility and authority who agree to share power. 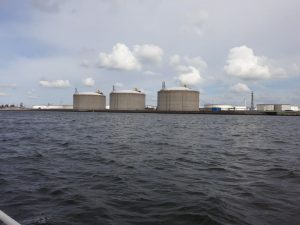 The typical best practice based Daily Operations of an MPA Manager was outlined in order to give the standard by which functionality can occur. A comparative analysis was used to Weakness of Current Management Arrangement. 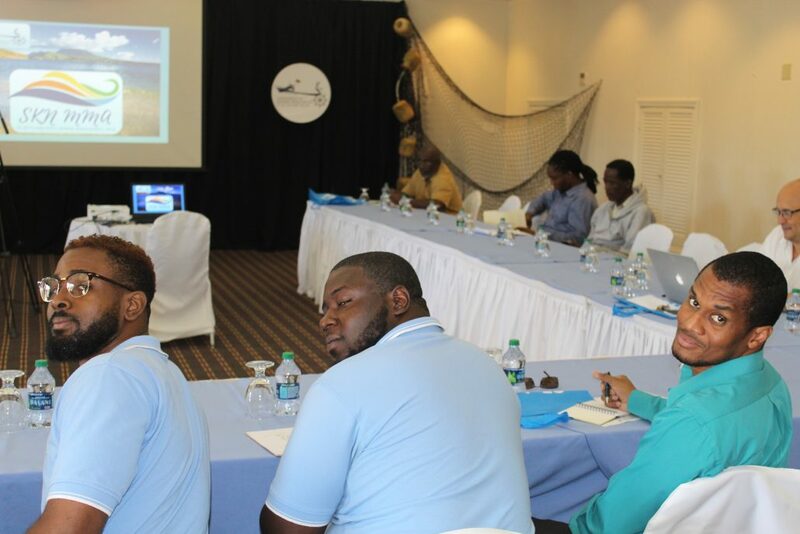 A field day was also included in this course work primarily to compare and assess the marine environment within Barbados and that of the respective country participating. 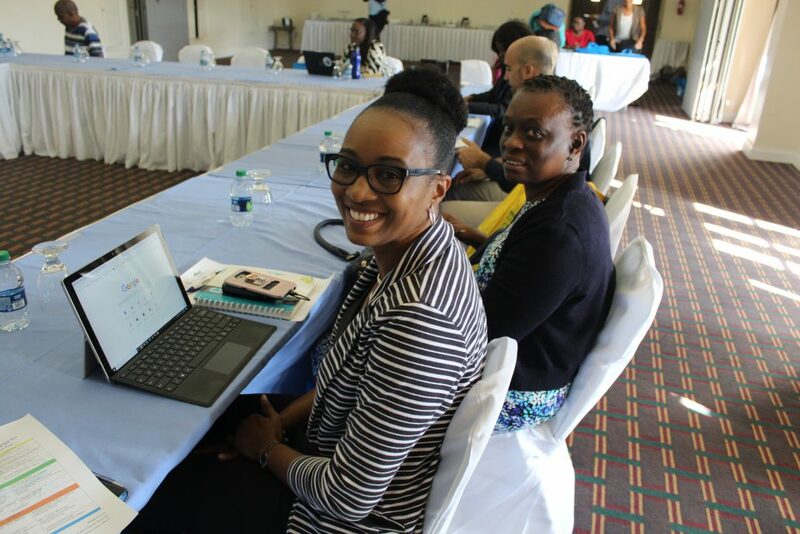 Tasia Jones -St. Kitts and Nevis is a certified MPA Manager.